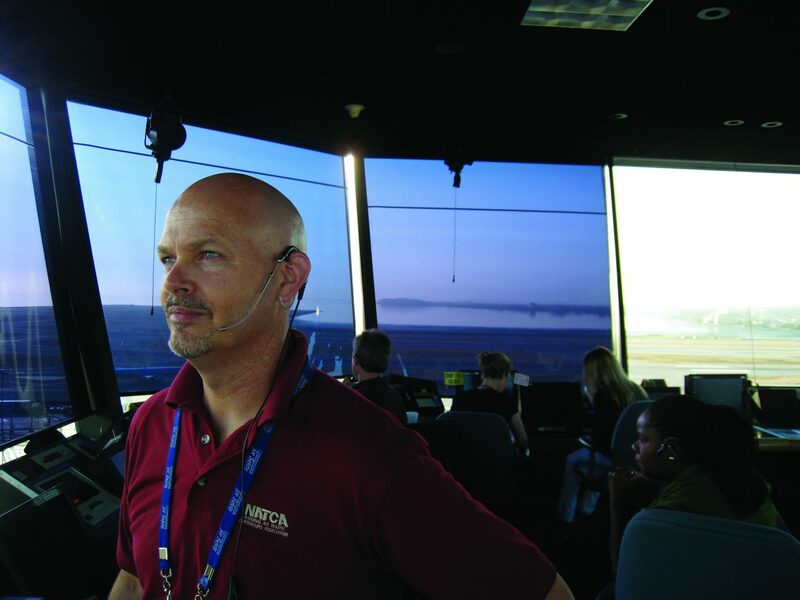 USCA, representing 90% of air traffic controllers in Spain, is witnessing with increasing worry how the US government is endangering air transport safety. We know from experience how it feels to work understaffed and with our working rights changed overnight unilaterally. Uncertainty adds pressure to an already very stressful job, negatively affecting the safety of operations. We live in a scenario of constant traffic growth, and our colleagues in the US have now to face it without their assistants, who do tasks which are critical to guarantee safety. Even more, we have learned that aircraft safety inspectors are also furloughed. It is clear to us that every day maintaining this situation exponentially adds up to the risk to have a serious incident. Therefore, we strongly support our US brothers and sisters in their claim to cease the shutdown and urge the US government to show more concern for the safety of all passengers and the crucial tasks our NATCA colleagues do. 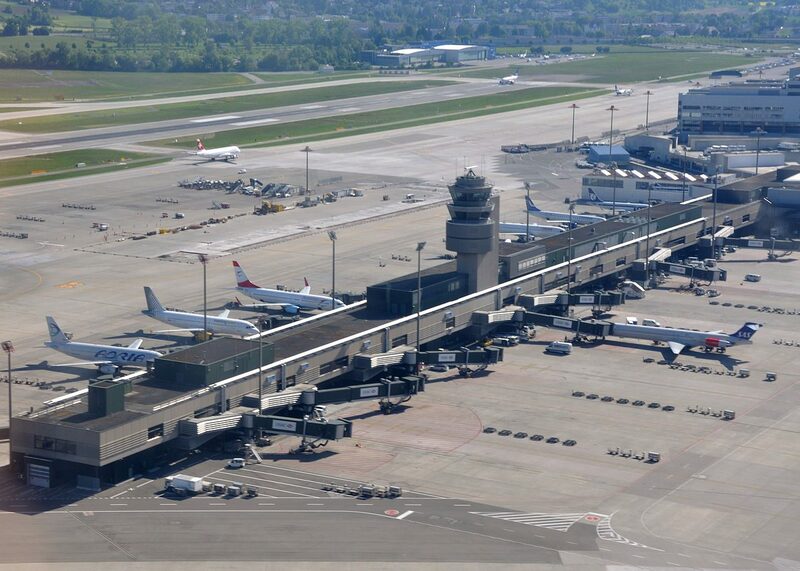 USCA rejects the decision by Swiss prosecutors to sue and charge an air traffic controller with criminal intent, after reporting an honest mistake, with no fatalities or damage to aircraft. This sentence is a blow to the Just Culture principle, supported by several European regulations and endorsed by the Swiss government. This principle aims at the prevention of air accidents by promoting the reporting of honest mistakes and flaws identified in the system, in order to take actions before a tragedy occurs. It is paramount, for the success of this systemic approach, that reporters do not fear reprisals for their actions, as long as there has been no gross negligence or wilful misconduct. USCA is deeply saddened by this news, since this decision hampers the overall safety of aviation, by subverting the spirit of one of the most important tools in the air safety management system: occurrence reporting. As professionals of air traffic control, we stand in unconditional solidarity with our fellow controllers from Switzerland, and will keep working with them, in order to achieve the highest level of safety in air transportation. .- Gericht in Palma de Mallorca hat einen geschlossenen Fall gegen die Fluglotsen wieder aufgenommen und beginnt mitmündlichen Anhörungen. .- Fluglotsen wurden bereits in der Vergangenheit vielfachzu der Schließung des Luftraums befragt. .-USCA hatSorge, dass die neuerliche Anhörung psychischen Druck auf die Fluglotsen ausübt und die sichere Arbeit dadurch beeinträchtigt ist. Die Gewerkschaft USCA (Union Sindical de Controladores Aereos) will ihre ernste Sorge darüber zum Ausdruckbirngen, dass mit den neuerlichen mündlichen Anhörungen vor Gericht zusätzlicher Druck auf die Fluglotsen ausgeübt wird. Obwohl der Fall schon abgelegt war und auch an 20 anderen Gerichten des Landes geschlossen war, wurden, ohne neue Erkenntnisse, mündliche Anhörun gengestartet. In der Klagschrift werden die Fluglotsen beschuldigt kriminelle Handlungen begangen zu haben auf welche mehrjährige Haftstrafen zu erwarten sind. Andere Gerichte haben diese Anschuldigungen schon lange fallen lassen. Das Provinzgericht Palma de Mallorca wurde als zuständig erklärt obwohl es das selbe Gericht ist bei dem noche in Einspruch anhängig ist. Es ist daher die Entscheidung des Provinzgerichtes ob ein Verfahren abgehalten wird. Wenn es dazu kommt werden dort die Schuldigen für die Schließung des Luftraumes genannt werden. USCA ist davon überzeugt, dass das Gericht die Fluglotsen wie schon in 20 anderen Fällen freisprechen wird. Durch diese Verfahren entsteht jedenfalls ein ungemeiner psychischer Druck auf die Fluglotsen. Ein Druck dem sie im Interesse ihrer Arbeit und der Sicherheit der Luftfahrt nicht ausgesetzt sein sollen. .- Palma de Mallorca court, which had closed the cause against the air traffic controllers, now wants to open oral trials. .- Controllers have already been exonerated in 20 of the 22 courtrooms that have dealt with the case of the closure of the airspace. .-USCA considers that the pressure Baleares atcos are suffering affects their performance. The Unión Sindical de ControladoresAéreos (USCA) wants to emphasize their concern about the pressure Baleares atcos are suffering outside work, after the opening of the oral trials recently ordered by the tribunal of Palma de Mallorca. This tribunal had already dismissed the case against the controllers, just like 20 other tribunals across the country, but now, despite not being any new elements to justify this decision, has ordered to open oral trials, while there is still an appeal procedure opened in the Provincial Court. In the prosecution report, controllers are accused of a pre-constitutional criminal offence that involves terms of imprisonment, a crime that has been dismissed by this same prosecution office in other courthouses.In the Court order, the Provincial Court of Palma de Mallorca is appointed as the competent authority to hold this trial, while it is this very same Court the one that has to resolve the appeal that it is still pending. Therefore, it is up to the Provincial Court to decide whether a trial is to be held or not, and if it happens so, it will be there where the ones responsible for the closure of the airspace will be appointed. We believe this Court will exonerate air traffic controllers in Baleares, just as it has already done in 20 of the 22 cases taken to court. USCA believes the pressure Baleares controllers are currently under is excessive and should not have to be endured at all, since it clearly interferes with their dailywork. 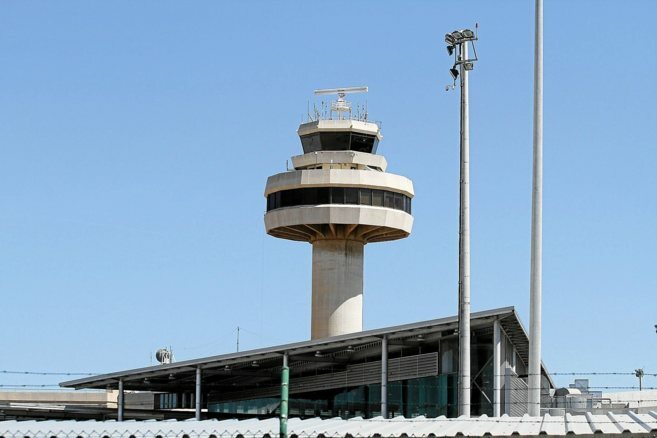 * The General Manager at Seville’s air traffic control tower, managed by Ferrovial, threatened an air traffic controller for his possible affiliation with the Spanish Union for air traffic controllers USCA (Unión Sindical de Controladores Aéreos). * Eldiario.es has gained access to a recording where the General Manager makes it clear that the statement has come down from General Director of FerroNATS, a merger between Ferrovial and the UK ANSP NATS, in Spain. * A number of e-emails from senior positions within FerroNATS indicate that measures will be taken against those that protest. In several other e-mails, the supervisors warn controllers that they should be very careful with becoming a member of this union. FerroNATS, a subsidiary merger of Ferrovial, is the air navigation service provider at 9 airport towers that were privatised in 2011, does not want any of their employees to become affiliated with USCA. 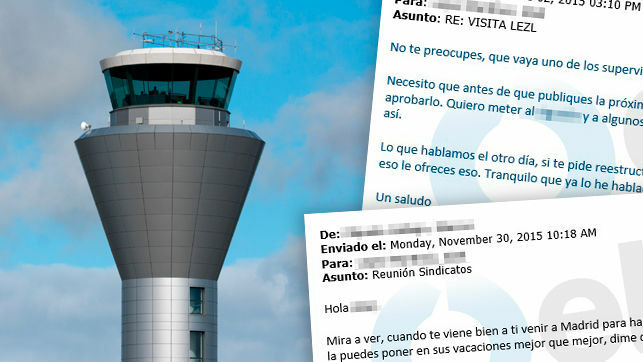 Eldiario.es accessed a recording where it is clear that the General Manager of Seville’s airport tower threatens an air traffic controller for their affiliation to USCA that “I can [expletive] throw you out on the street”. The General Manager went on to indicate this policy is being applied directly from the General Director of FerroNATS in Spain. “He knows, he called me, you know that he will not take this well…..He has also told me that you have applied to become members of USCA. Just letting you know that you are playing with fire, USCA is the reason you could lose your job”. However, the tower General Manager confirms that this should not be taken as a threat, it is only a warning because if the General Director finds out of their intention to become members of USCA, they can go “and [expletive] resign”. “It is no skin of my nose, I am not the one advocating whether USCA is good or bad, all I am saying is that USCA is the entity that will cause this issue to blow up and if you think that USCA will help you afterwards, good luck. I do not give a damn who has applied and who has not, but if he finds out [General Director], and he will find out because he has his contacts within USCA, beware. You will find yourselves out on the [expletive] street”. I am not threatening anyone, I have told him, I prefer to maintain my distance”, as the General Manager of Seville tower affirmed, also employed by FerroNATS. This is not the only evidence that FerroNATS attempts to deter their air traffic controllers for becoming members of USCA, this includes taking measures against those more belligerent employees. Eldiario.es has witnessed several e-mails where the managers in question have made this point clear in writing. In one of the e-mails, the Training & Operations Director of FerroNATS informs the General Manager of Seville tower that one of his employees and union official with CCOO (Comisiones Obreras) has requested a meeting with the company. “We are going to arrange the meeting when you and I want. If you can make sure the meeting is during his annual leave even better. Give me a few days when you are available and he is on annual leave and I will summon the union”. As is written in the e-mail from the Operations Director to the tower General Manager. The reply from the General Manager indicates the days he is available for the meeting where the union representative is on annual leave. The tower General Manager at Seville asks Operations Director at FerroNATS for help in “purging Seville”. “I would like to have a meeting to discuss a new strategy”, indicated in an e-mail on the 21st October 2015. Other e-mails confirm senior management’s endorsement of prejudicing against a particular union rep. “Before you publish July’s roster, if it is already published then do not worry, August’s roster will do, send it to me so that I can approve a few things. I want to make sure that his [this union rep] shifts are longer and will look into doing it as soon as possible. He is making your life impossible, so I will make his life impossible too”. Says the Operations Director. The communication’s secretary of USCA, Susana Romero, confirms right from the start they were aware “that there were a lot of pressure against being affiliated to USCA, but not against the other unions”. “If there were a higher membership with USCA, it would not be so easy to implement some of FerroNATS reforms. This is a warning to employees: it will not go well for you if you are affiliated with USCA”. 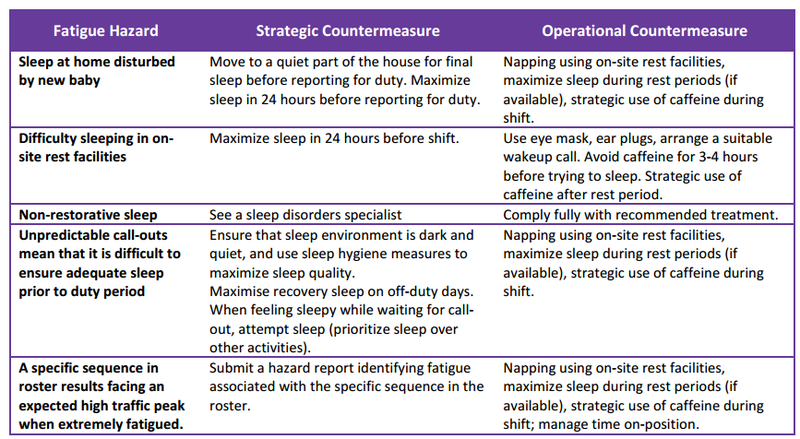 The strategic use of coffee and napping on site is being recommended for controllers whose sleep at home is disrupted by a newborn baby. The personal fatigue mitigation strategy is just one recommendation in the first ever fatigue management guide for air traffic service providers produced by a cross-industry group comprising the Civil Air Navigation Services Organisation (CANSO), the International Civil Aviation Organisation (ICAO) and the International Federation of Air Traffic Controllers’ Associations (IFATCA) which applies the scientific principles related directly to controller fatigue management. 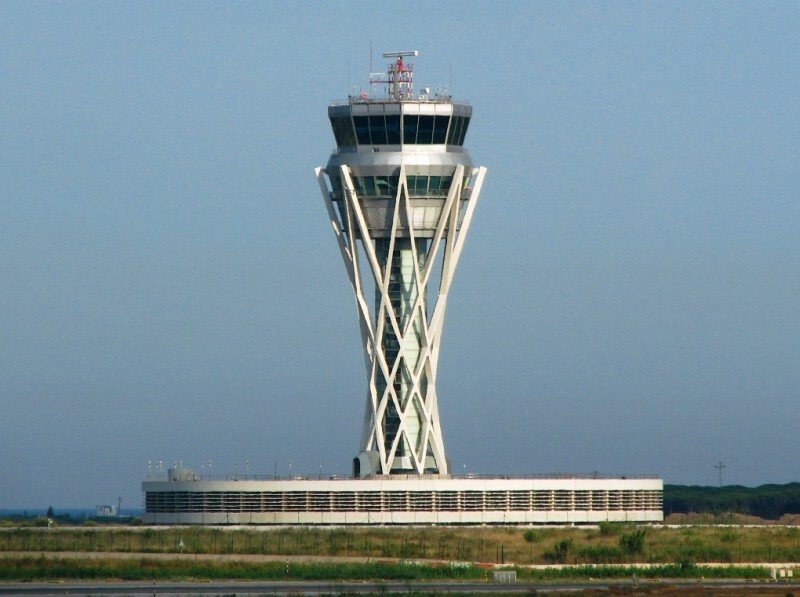 The spanish Air Traffic Controllers Union (USCA) will file a complaint tomorrow at the national Air Safety Agency (AESA), for the dismissal of an air traffic controller in one of the 13 control towers privatized by AENA in reprisal for joining the union. FerroNATS sacked the affected controller for “very serious misconduct” on july 20th adducing “disciplinary causes” and for the “continuous and voluntary drop of his working efficiency and the trangresion of the contractual good faith”. In the dismissal communication, to which Europa Press has had access, the company also points out, as a reason for dismissal, using a company printer for documentation unconnected to the working position. The controller printed the documentation of the announcement of 29 air traffic controller vacancies at ENAIRE (the public spanish air navigation provider), which exams will take place in september. The affected controller, who had been working at Valencia´s control tower since 2012, has requested an act of conciliation before the labour authorities (Dirección General de Trabajo) in Madrid, where FerroNATS has its headquarters, in which he requests the impugnation of the dismissal, before going to court. In his request, he considers that he has been fired due to his negative to attend practices in his profesional activity as controller, contrary to the strict normative of mandatory compliance, and reports the “moral abuse misconduct” the company has put him under. The fired controller, who hasn´t been a legal representative in the last year, nor holds it at this moment, had gone public about his recent affiliation to USCA shortly before being fired. USCA doesn´t hold any representativity in their control towers, because eight union delegates belong to CCOO and one to UGT. 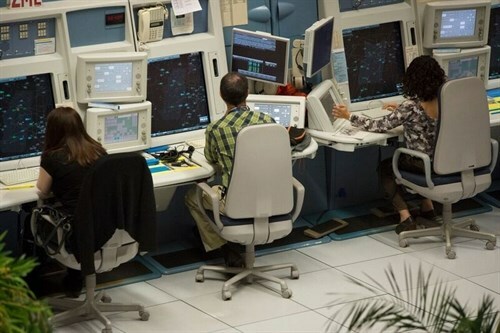 The union USCA, which represents 90% of the more than 2.400 air traffic controllers at ENAIRE control tower and centers, recently obtained representativity in 50% of the privatized control towers. Controllers who work at those towers have addressed USCA requesting their affiliation to the union, to which they have reported veiled warnings since 2014 by some of the managers in the companies in charge of the privatized towers, about the consequences of joining the union. USCA also reports a change in the procedure to renovate the license of another tower employee in Seville, affiliated to USCA, who lost her habilitation due to a car accident. After she had passed her second practical exam, the company did not do the paperwork for her renovation, urging to revise this exam. In connection with this case, sources from FerroNATS have indicated that it is under an internal audit and that AESA has requested information from the company. 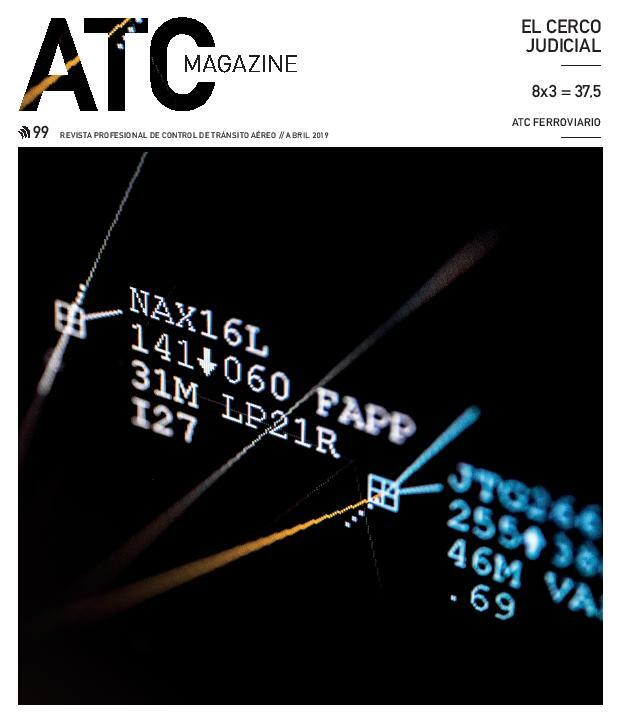 AENA awarded in september, 2011, FerroNATS Air Traffic Services –a joint venture integrated by Ferrovial and NATS– and SAERCO the control service at 13 airports of the spanish aeroportuary net. These are the control towers at A Coruña, Vigo, Sabadell, Cuatro Vientos, Valencia, Alicante, Ibiza, Seville and Jerez, managed by FerroNATS, and Castellón, La Palma, Lanzarote and Fuerteventura, managed by SAERCO. 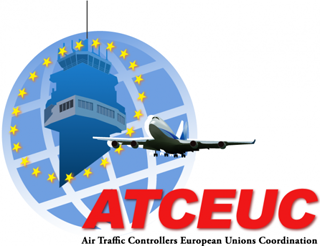 In june, CCOO, UGT and the Civil Air Traffic Providers Association (APCTA), formed 50% by SAERCO and FerroNATS, signed the II Sectorial Labor Agreement of the 13 privatized towers, despite 83% of the controllers voted against it. The much-feared month of August has arrived, and air traffic controllers at El Prat are having to juggle in order to carry out their work efficiently. Tiredness and the need to work through breaks are combining to create “chronic fatigue”, according to the Secretary of Communication for USCA (Air Traffic Controllers Union) to Cerodosbe. French ATM system is growing. 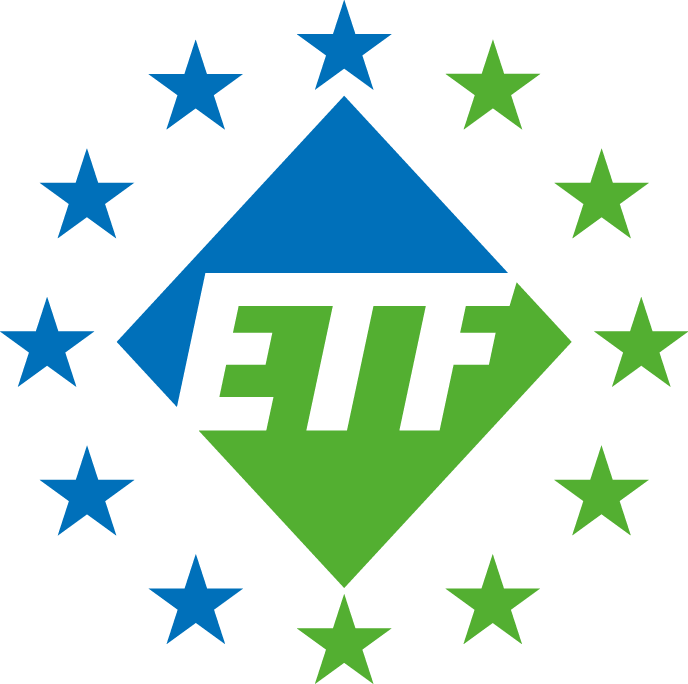 toolbox is available online at http://www.etf-europe.org/etf-news-online.cfm/newsdetail/11311/region/2/section/0/order/1http://bit.ly/1T52v0F.